Dental consultations are one of the best ways you can understand the comprehensive care available to you at our Beauséjour, Manitoba dental office. A consultation with Beausejour Dental Centre will allow for time to address any concerns or issues you might have, as well as allow for Beausejour Dental Centre to discuss what treatment options could look like for your personal needs. Beausejour Dental Centre offers a wide variety of comprehensive dental treatment options, and it’s important that you have the time to understand which option will be the best solution for your personal needs. 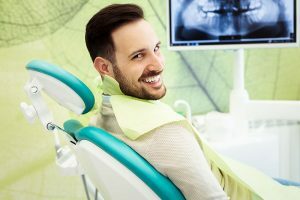 During your dental consultation, you’ll have access to information like aesthetic options, budget, comfort, and time required for various dental procedures, and you can always ask questions to make sure you feel comfortable with the information, and well-informed before making any decisions about your treatment. When you do make a confident and informed decision about the treatment pathway you find fits your lifestyle best, it’s important to know exactly what it is that you’re getting in to.Beausejour Dental Centre can offer a complete explanation of the procedure, often with visuals and models to help you better understand what you will undergo. This is to say that you not only feel well-informed about your treatment, but also that you are comfortable and worry-free when you settle into the chair. Consultations are also an important time for Beausejour Dental Centre to discuss any long-term dental issues that might need to be addressed, as well as time to provide you with care tips that will help keep your oral health in top shape. For more information about dental consultations, or to schedule your next appointment with Beausejour Dental Centre, call 204-268-1782 today!